Rocky, an ornate dragon, lives on the granite rocks in the southwest of Australia. His ancestors have lived in this hot environment for around 10 million years, and for more than 60,000 years, they have lived alongside Indigenous Australians. Rocky's habitat is under threat, and his desert relatives in the north are facing challenges due to rising temperatures. So Rocky sets out on a trip. Along with Western science, Rocky uses his knowledge of Indigenous culture and language to engage with all that he encounters on his journey. 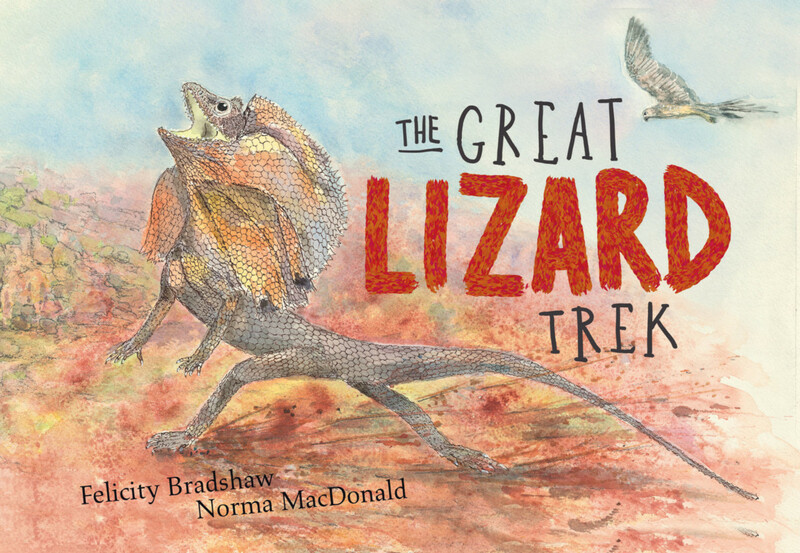 The Great Lizard Trek accompanies Rocky to see what the future may bring. • Interweaves Indigenous language and culture with Western science.